Conduit Finance are delighted to once again support and sponsor The Italian Job III, a lunch with Scott Quinnell, Michael Lynach and Andy Nicol, in partnership with Boroughmuir RFC and The Bill McLaren Foundation. This fantastic afternoon of rugby entertainment at Murrayfield supports the work of the foundation. Scott Quinnell played over 50 times for Wales and turned out for the British & Irish Lions on their tours in 1997 and 2001. He also played for his country at rugby league. Michael Lynagh was the vice-captain of the Australia team that won the Word Cup in 1991 and in all, the stand-off earned 72 caps for his country scoring over 900 points. Both men no work for Sky Sports as pundits and have their fingers on the pulse of everything that is going on in the modern game. Andy Nicol has launched a successful broadcasting career since retiring from rugby and is a popular and successful compare at business and sporting events. Andy played 23 times for Scotland and captained the national team in the famous win in 2000 over the Auld Enemy which thwarted their Grand Slam ambitions that year. The Charitable Foundation was set up in March 2010 to raise funds to support the development of rugby and its values and also to recognise the contribution Bill McLaren made to rugby through education and the development of an interpretative centre including Bill's extensive archive including his big sheets. The Foundation has been set up in Bill’s name, and with the support of his family. Stevie Douglas, the Boroughmuir rugby president, said: “We are delighted to work with the Bill McLaren Foundation again for this event. Alan Lawson from the Bill McLaren Foundation added: “This event has fast become one of the ‘must attend’ rugby functions around Six Nations time and we enjoy working with those at Boroughmuir to bring it together. Jamie Davidson, the founder of the company, said: “We are proud to once again support such a fantastic cause. To be associated with a charity and an event that helps engage people with the spirit of rugby is very satisfying. Jamie Davidson, founder of debt advisory firm Conduit Finance and formerly of SME lending at Bank of Scotland and Clydesdale Bank, predicts a sea change for SMEs and commercial and residential property borrowers in Scotland, as alternative lenders look to offer reduced interest rates on their loans. In 2018, Mr Davidson believes that for the first time, loans from alternative lending schemes such as crowd funding, peer to peer lending and private debt, will be as cost competitive as the retail banks, blowing the finance market wide open for loans in the £500k to £10m range. This will be especially beneficial for commercial and unregulated residential property borrowers that have been turned down for credit by the retail banks. Mr Davidson said: “Naturally, because alternative lenders such as Funding Circle, The Route and Folk to Folk are settling loans for higher Loan to Value (LTV) ranges (between 60-75%), they absorb the risk by charging higher interest on both short and medium term loans – currently between 6% to 12% pa. LTVs in retail banking property loans are settled at around 55% to 60%, but they offer lower loan costs of between 2.5% to 5%. This is all set to change in 2018 – with increased availability of finance for lenders, such as Innovative Finance ISAs (IFIsa), the cost of capital is set to fall and this will encourage alternative lenders to reduce their interest rates. In the future, it will be margins of risk that differentiate lenders, rather than the cost of borrowing. We won’t see lending flowed freely regardless of risk, as we did in 2005 and 2006, but it will be difficult to separate who is offering what and if an offering is competitive. We’re also likely to see alternative lenders offering terms to individuals and businesses with higher LTVs, as they continue to look to differentiate themselves from the retail banks and their alternative finance competitors. Once non-retail bank LTV's hit 80% in 2018, then we are heading for a correction which will happen around 2021. The result is a more competitive and balanced financing market, as individuals and businesses have access to more cost competitive options outside of the banks. This is only going to be good for the wider economy, particularly smaller or new businesses that struggle for credit." According to Mr Davidson, the trend of price competitive alternative finance will apply to many types of lending, including invoice discounting, asset finance, unsecured SME loans, property development finance and commercial mortgages. The move from alternative lenders is likely to be a major benefit for individuals and businesses that do not qualify for retail bank funding due to higher risk profiles. However, Mr Davidson warns that banking regulation could check the reduction in loan costs offered by alternative lenders. He continues: “Offsetting the trend towards falling interest rates from alternative lenders, will be the increasing pressure that all regulated lenders have to comply with their ongoing obligations to the Prudential Regulation Authority (PRA) regarding capital adequacy - how much cash they need to set aside to cover any bad loans. In some quarters of the lender market, this will reduce the loan amount offered and increase interest rates. Retail banks are currently increasing pricing to ensure they meet their PRA obligations, this edged them up the pricing scale and closer to the alternative lenders." Despite recent uncertainties, including Brexit and the triggering of Article 50, alternative lending has seen a sustained period of growth in recent years. For example, Peer-to-peer lending by volume reached over £100 million by the start of 2017 according to altfi (ref 1.). Bridging finance is also enjoying a period of positive growth in 2017. According to the Association of Short Term Lenders’ (ASTL), bridging lender members reveal that the value of applications for bridging loans increased by 13.9% in Q1 this year, compared to the previous quarter; up 123% over the same quarter in 2016 (ref.2). This is good news considering slow growth in bridging finance in 2015, up just 1.2% in that year (ref.3). Lending in the UK commercial property sector is also buoyant. According to the 2016 Year-End De Montfort Commercial Property Lending Report, while new lending was down by 17 per cent in 2016, compared to its post-crisis peak in 2015, the vote to leave the EU seems to have had minimal impact on new lending activity. Lenders originated £21.4bn in the first half of 2016 and a marginally higher £23.1bn in the second (ref 4.). “2017 is a bit of a watershed year for alternative finance market – the launch of the Innovative Finance Isa for example, allows investors to deploy their tax free allowance with a more diverse risk appetite. This means that SME borrowers in need of funding will have greater access to investors who are willing to accept a higher risk. We’re also going to see a period of consolidation and cooperation, as smaller alternative lenders merge to offer optimum funding solutions for borrowers. This will ensure that lending opportunities are directed to the most appropriate funder, while both meeting the needs of UK businesses and filling the funding gap that the big banks have ignored for too long." Competition drives innovation, so as lenders fight it out, borrowers can expect to benefit from not only lower rates and higher LTVs, but creative new to market products. Our Leeds based client had come under pressure from their investors. They had hit a cash flow hole, which was preventing them from building infrastructure to open the remainder of their 100+ unit site. Investors were demanding progress, but cash was required. We were presented by our client with a piece of land owned outright, at an original purchase price of £2,000,000. We were asked if an over lend in relation to the purchase price was possible, planning had been gained and would provide an uplift in market value, demonstrated by a recent valuation instructed by our client. Having identified three lenders that could work on a deal of this nature, we set about delivering the best possible terms within a tight time frame. We used a new to market lender, and raised £3,300,000 net within 7 working days from acceptance of heads. The speed of the transaction was further improved as the lender used an existing valuation previously instructed by our client. Our clients said, “It is rare to have a lender and adviser exceed expectations. 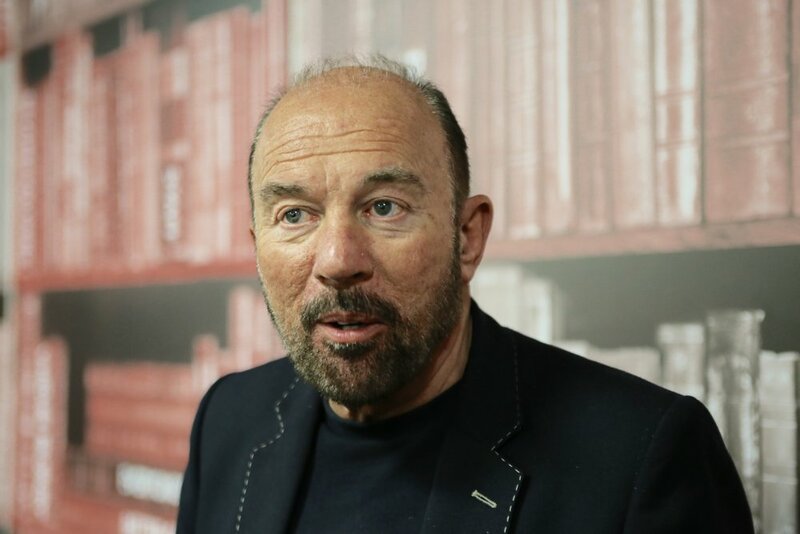 On this occasion we have been happy not only with the nature and speed of the facility, but Conduit’s ability to adapt along the way with our interests coming first”. Delivering new to market lenders is a constant part of our work. Having carefully assessed our client’s problem and suggesting a viable route, we were able to deliver a solution they thought unavailable in the market. We have recently launched planning consent finance from £25,000 to £150,000, for developers looking for additional capital to maximise opportunities and realise value from existing sites. To enquire about capital raise against land or any other opportunities please do not hesitate to contact us. Today, many Scottish SME’s, especially those in the Hotel, Licensed Trade & Restaurant sectors may be having acute problems with their funding. This will be negatively impacting on their ability to grow the business and in some instances, this pressure coupled with a lack of flexibility and liquidity, may be leading their life’s work towards an unwelcome termination. We see many business owners who are in a distressed space, have battled with their incumbent lender for some 7+ years, only to find that their debt has been sold onto one of the vulture funds with little or no warning. This transfer of debt is typically done to free up capital on the lenders balance sheet and the sale of the debt is completed for a fraction of the original loan sum, normally in the range of 40p – 70p in the pound. The buyers of these corporate debts are mostly vulture funds and trade under the names Clipper Holdings, CarVal, Cerberus/Promontoria and are frequently managed by UK agents Engage Commercial who will deal with all borrower contact. Once the loan has been acquired by the new fund they are known to apply vast amounts of pressure on the borrower in order to have the debt repaid and make their return on investment. Their focus is on delivery of the maximum quantum, ideally seeking par repayment, with the quickest route to the realisation of that return. A vulture fund has a single strategy – buy a loan at low price then have it repaid as quickly as possible for a higher amount, at the cost of the borrower, thus creating their profit and return for investors. Where a refinance is not possible or the funders UK based representatives have lost patience or confidence in the borrower, they will not hesitate to take enforcement action. This results in the borrower losing their business, perhaps their family home and being personally sequestrated. The funder will then use the Personal Guarantee provided by the borrower to pursue them for any shortfall from what they have been able to recover vs. the outstanding debt amount. This will happen whether the borrower, knowingly or not, signed up for a Personal Guarantee as part of the funding package when originally taking on the loan. Time factor is critical to these debt buyers in that, the longer they have the loan on their books, the less profit they are likely to make once refinanced. Thus, the vulture funds pressure the borrower extremely aggressively at the beginning to repay their debt. Often borrowers are put into Administration extremely quickly if a repayment plan is not agreed in time or the borrower or repayment strategy lack credibility. From our experience the funds, while often pragmatic and keen to strike a deal, care little for the company owner or their family and the impact on the business performance and the borrowers health can be profound. If you are prepared to think outside the box, there are many new banks out there that have a real desire to assist small businesses in a fairer, open and transparent way. Modernising the commercial lending industry, the new financing options enable transparency from the outset and can put finance in place within remarkable timescales. Pricing can get as low as 2.45%, up to 5 years interest only, over 25 year amortisation period, with loan to values exceeding in some cases 75%. Conduit Finance always act borrower side to counsel and provide guidance on the best strategy to enable a safe and solvent exit. We call upon many previous transactions and utilise relationships forged with the incumbent funder to ensure the exit is credible and is supported to avert any form of insolvency event. We take time and care to educate the borrower on the four potential outcomes so they are well briefed and prepared for what the future may hold. To complete a deal often relies on creative thinking and unorthodox problem solving. This covers both the raising of fresh capital to buy out the vulture fund and mediation to enable a deal to be struck that works for the borrower and funder. To make this happen in the real world, an element of debt forgiveness may be required, as invariably the businesses are over geared due to poor lending practices by the Bank who originally provided the loan. A brief process overview of a transaction will involve us on day 1 relievingpressure from the borrower by fielding all forms of dialog between the two parties. From there we negotiate with the funder to achieve an amicable settlement price and timeline, then enter into a standstill agreement. During this time the funder is not able to enforce against the borrower offering some protection. This is a gradual process and will take time, patience and consistency. We are confident that in most cases we will be able to provide a solution to the borrower. If required, we will source the market to pinpoint a new lender, be that a Challenger Bank, Peer-2-Peer lender or family office, so that the borrower can refinance their debt with confidence and pay off the vulture fund. 2017 is a good year for borrowers with many new banks entering the market. Interest rates remain low and there is more flexibility regarding interest only repayment profiles and longer (20+ years) loan terms. If you are a Scottish SME business, particularly in the leisure industry, and find your debt has been sold on, then please get in touch. For borrowers seeking new finance we can provide real time interest rates and figures for your business from our panel of over 300 active lenders. Call Director, Mark Reidy, on 07775 678 087 or email Mark@ConduitFinance.com. Are you a housebuilder or developer looking to grow your business? Housebuilders’ head office operational costs have invariably been funded by the business owners, project profits or third party investors. Current market conditions favour housebuilders, but as ever it's about maximising the opportunity when it presents itself. Most development finance lenders allow a level of management team overhead to be run through the SPV cashflow, but it's usually not enough to fully fund a growing business. The availability of growth capital for this purpose has improved, and recently there have been individual investors and established private equity funds investing in this sector. Striking a balance between access to capital and maintaining control is key. These investments are being used by developers to open up new sites, amass land banks for a consistent pipeline, or to act as the equity needed to access cheap 60% LTC senior debt. It's also useful to be able to pre-fund a growth in full-time head count, to lead to more development activity. Investment amounts vary, from a few hundred thousand pounds, into the millions, with investment terms ranging from 1-5 years. 1. An annual coupon or interest rate, which can be serviced monthly or rolled up. 2. Capital return, which can be an IRR or multiplier based model, depending on the profitability of the business. The investment partner doesn't have to be a friend for life, but just for a defined period. Ensuring that their role and input is clearly defined is crucial, as the primary role of the capital is to grow the business, not to run it. If this sounds like a means which could help you grow your business, then get in touch to discuss specific figures relative to your business, and your aspirations. 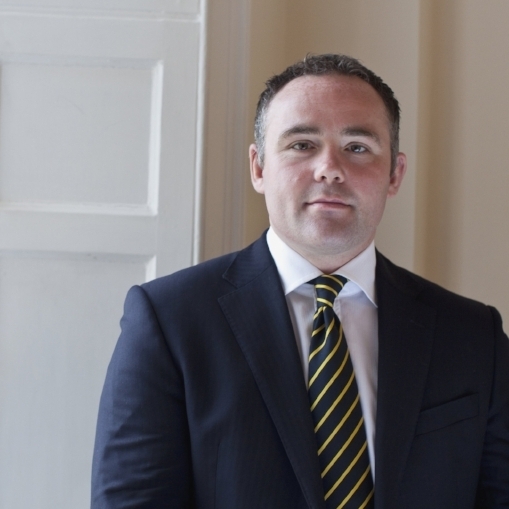 Managing Director Jamie Davidson, of Conduit Finance recently wrote a piece for The Scotsman Business, on the Rise of non-performing loans, and the impact on SMEs. We are delighted to support and sponsor The Italian Job II, a lunch with Sean Fitzpatrick, and Andy Nicol, in partnership with Boroughmuir RFC & The Bill McLaren Foundation. This fantastic afternoon of rugby entertainment at Murrayfield supports the work of the foundation. Sean Fitzpatrick is a legend of international rugby and international sport. Sean played 92 international rugby matches for the All Blacks from 1986-1998, including a world record of 63 consecutive Test matches and 51 Test matches as captain. Andy Nicol has launched a successful broadcasting career since retiring from Rugby and is a popular and successful front man at business and sporting events. Andy played 23 times for Scotland and captained the national team in the famous win in 2000 over the Auld Enemy which thwarted their Grand Slam ambitions that year. A familiar problem for developers is being unable to commit equity to all of the developments they have the opportunity to start. This is usually a reflection of the economic cycle when opportunities can outweigh liquidity. This may be because they have committed their funds in other developments, or they do not want to use their own money in the transaction. What providers of 100% loan to cost (LTC) funding are offering is a more equity friendly alternative to senior debt or stretched senior debt, but with a profit share to reflect the additional risk associated with lending 100% loan to cost. 100% LTC funding can be used for speculative residential developments, student accommodation or commercial developments. Office to residential developments and detached/semi-detached houses are both well suited to the internal rate of return (IRR) model that lenders use. Lenders who fund 100% of development costs are usually small by comparison to retail banks, and are invariably led by an individual who used to be a developer, or has a longstanding experience of development projects. There are a range of lending structures these funders use; from one individual providing all the cash as a debt loan, to one primary investor supported by minority investors via a joint venture agreement, with a priority profit for the lender. There are usually two components, an interest rate applied against drawn funds and a profit share, sometimes structured as an exit fee. The traditional model of an arrangement fee, interest rate and exit fee isn't usually utilised. The lenders will approach each transaction as if it was their own, which benefits both the developer and the lender. They will look to ensure construction costs are in line with realistic market norms, and that projects provide upwards of a 20% profit on cost. Most will take some geographical risk and some may even back first time developers. Demand from the end buyers of the completed property is fundamental. Loans can vary from £500,000 to £10,000,000, with larger projects possible on a deal by deal basis. Interest rates applied on drawn funds are around 5 - 12% per annum, which are rolled up into the facility, and payable on drawdown. Profit shares vary on a deal by deal basis, with a minimum lender percentage being 30%, to a maximum of 60%. Some of our providers permit any additional upside in addition to the day one projected net profit, to be retained solely by the developer. 100% development funding is usually a loan and not a traditional joint venture. Unless the project experiences difficulties and a default is experienced, the lender's involvement is purely that of a lender. The lender will agree the terms of the facility, and lend from their company to a special purpose vehicle (SPV). The developer will own and control the SPV and the cash flow in line with the monthly drawdown parameters. In most cases, no personal or corporate guarantees (PG's) are required, and no personal security is required to be pledged. In some cases if the risk is above average then a PG may be required. A debenture over the SPV would be required as normal. 1. Finance Brokerage service: to facilitate the introduction to the lender, assist with the collation of documentation and completion of application forms and then to provide consultancy services to support the borrower through the process. 2. Debt Advisory service: a more hands-on approach than the brokerage service which involves; drafting of citing paper and information memorandum, term sheet and facility documentation reviews, negotiation of the covenants, advice on how to optimise the capital structure, guidance regarding the lender underwriting process and how to navigate pitfalls, assembly of the professional team and support securing a contractor, and helping to structure the cash flow and transaction. Our success fees can be included in the development facility so the developer does not need to settle fees from their own resources. At Conduit Finance, we have been delivering innovative sources of finance for developers since 2007. Contact Jamie Davidson to find out how you can exploit dynamic debt for development. Loan type: 100% of all costs including acquisition. Lender type: Private Debt Fund. We were initially approached by a client with a prime development opportunity in Glasgow. The client had a lack of ability to commit funds to the transaction, due to vast ongoing development portfolio he was currently operating. Given their experience and quality of product produced we believed we could deliver a package that removed the need for equity from the development. Utilising our relationship with a Scottish focused private debt fund, we were quickly pull together a proposal for the development, with a loan requirement of £1,500,000, covering all costs of the development. With a £600,000 profit at stake, we managed to secure the best profit share possible. A formal offer from the private debt fund was delivered within two weeks, allowing the client to submit a credit backed offer for the site which was subsequently accepted. The accepted offer included, a 65% profit share in the developer’s favour, along with any uplift beyond the agreed sales figures. After only five working days on site, the developer has negotiated a sale at £45,000 above the additional appraisal agreed with the funder and developer. The developer retained the full £45,000 as this was ahead of budget. If you are an experienced developer being presented with viable scheme’s then please do not hesitate to get in touch for a quick decision on whether full funding would be deliverable. Swedish entrepreneur lands in Scottish mansion. The borrower had moved from Sweden to Loch Lomond and needed to refinance his house in order to release funds to renovate the B listed building, enabling it to then become his main residence. The property was a substantial period property previously utilised as a youth hostel. The borrower, an ultra-high net worth individual and foreign national, had no UK income to declare and so had to utilise his global income. This required the private bank to carry out extensive translation and information gathering from various EU countries, to ensure he was complying with various rules and regulations, and complying with lender affordability calculations. This was in addition to the recently tightened money laundering regulations. Mark Reidy was called by the borrowers secretary as she was made aware of Conduit Finance from our website after a search of advisers who had experience sourcing finance through private banks. Mark approached a number of banks with the objective being secure a competitive refinance package to release £1,000,000 of capital from the property. These funds were used to repay the overseas directors loan – originally used to buy the property – and the remained of the funds were used for full renovation of the property. We are now looking to assist the borrower with commercial property acquisitions in order to grow his property portfolio. If you are a business owner, entrepreneur or professional adviser seeking a mortgage solution that is bespoke then please contact Mark Reidy to discuss how we can assist. How do you navigate a disagreement with your bank? It can be a difficult balance to strike when you want to resolve the problem without creating too much friction. That's at the same time as also trying to secure the best outcome for you and your business. Parties that are in a dispute both invariably want to resolve their issues in the most cost effective and time efficient manner. Removing emotion and focusing on the commercial drivers is vital. Mediation is a future focused problem solving process, which is tailored to meet the needs of both parties. Mediation can be used at any stage of the dispute and is for all levels of disagreements. It’s a process that has worked well in all of the economic cycles be it a recession or growth. Sectorally the businesses that we have worked with vary with some consistent trends in the licensed trade or in renewables. We have utilised banking mediation when settling unresolved disputes such as debt proceedings, securing judgements against Directors, appointment of receivers and possibly bankruptcy proceedings. The process allows for a mediator to guide both parties down the path of a voluntary agreement on either part of or all aspects of the disputed issues. In all of the cases we have resolved over the past five years there has always been a high level of disagreement at the start of the process. When working with restructuring or enforcement teams within banks their agenda is clear. The role of the mediator is to bring the parties to acknowledge the strengths and weaknesses of their respective positions and to assist the parties in framing a solution which both sides can live with long term. All discussions are held on a without prejudice basis which allows both parties to discuss, within reason, their issues with an element of comfort knowing that the content will not be relied upon in a court of law. This does not compromise either party’s position as by this stage they are both focused in the deliver of a resolution. One of the most beneficial aspects of mediation is that it brings both legal and emotional closure for all parties. The negativity that resulted from the earlier conflict can, as much as it can be, set aside. If you feel you are getting nowhere whilst speaking to your bank then please make contact to discuss how we can help you quickly resolve the problem to allow you to return to growing your business. Banking Mediation could help end your frustration. Speed, funds within 8 days. Deal type – Working capital. Client – Residential property investor. Product – Unsecured SME loan. An existing client introduced us to a ‘new to business’ client seeking insight and help when they were in need of short-term capital. This was to assist with the funding of soft costs in relation to a new property venture. Mark Reidy met with the clients one day after introduction was made and, after a detailed fact-find and requirements analysis, introduced and explained to them a new to market unsecured lending product they could utilise to see them through this early phase. The client was a well-established, family run business with decades of trading experience and excellent credentials. They engaged Conduit Finance to act formally on their behalf on the 27th of October. Mark and Jenny then worked together behind the scenes to deliver robust heads of terms to the borrower the same day. Jenny then gathered detailed client information and supporting documentation, enabling her to complete the lenders application process. A conditional offer was then received six days later from the lender. On November 7th, the same day the conditional offer was issued, the application was formally approved by the lender credit team and the loan was fully funded via the lending platform. Drawdown happened just two days later. This is remarkably fast funding. Our client is extremely pleased with the process and outcome. “Having being in the property business for over 45 years we have spoken with many financial brokers and without question Conduit Finance is one of the best we have dealt with. 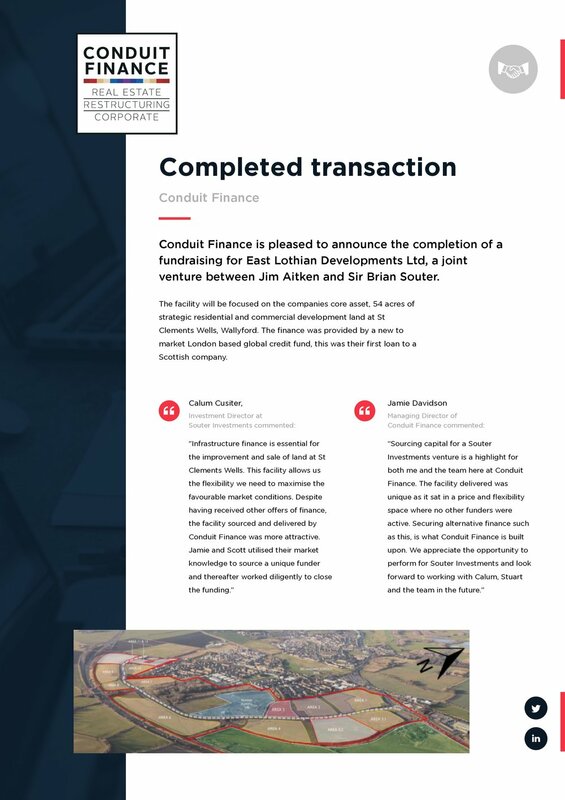 When a developer was let down by a bank, and needed a deliverable solution fast, their solicitor knew who to trust, Mark and Andy at Conduit Finance. The client, a well-established and profitable UK-wide developer, had terms agreed and in place with their existing funder. Just days before completion, and post the Brexit result, last June, their funder decided to pull out of the Scottish market in late July. Mark Reidy received the call from the solicitor to assist with the urgent funding requirement. He was tasked with sourcing acquisition finance within 6 weeks to ensure the developer secured a site with a development net profit of £2,000,000. Mark then worked with his colleague Andy Lawson to undertake quick due diligence and to scope the client’s requirements. Using our lenders database of over 400 active sources and our market knowledge we quickly placed the requirement with a reliable lender who could deliver. Next day they met with the solicitor to further scope the requirement, security and the client’s expectations. At the meeting Mark and Andy presented a number of potential solutions with a plan A and plan B being agreed. Mark presented the solutions to the borrowers and our letter of engagement was signed same day. After the collection of data and supporting documents we drafted a proposal for the lenders and after submission we secured heads of terms within 24 hours. We search the market every day for interesting new to market lenders and creative products. This investment in innovation ensures when we get the opportunity we can react decisively. From start to finish the process took 6 weeks and we have been instructed to raise another £4,200,000. And good news from our perspective, we have been retained by the borrower. 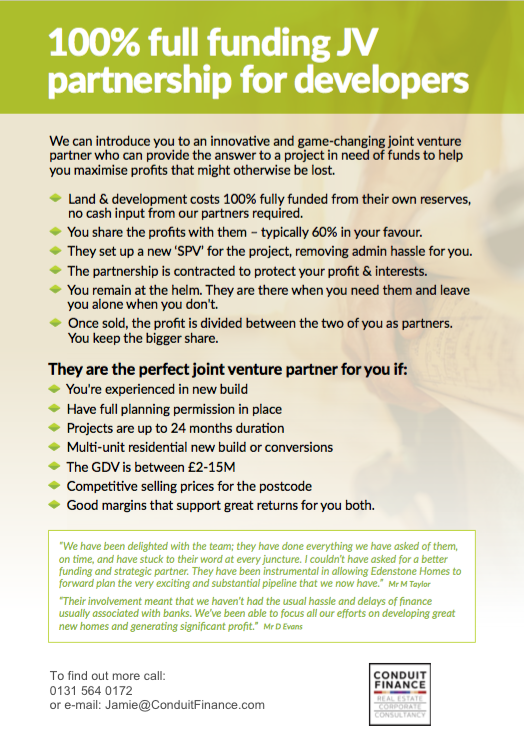 We look forward to delivering for both the client and the introducer again in the future. "The certainty Mark provided regarding the deliverability of our funding gave us peace of mind throughout the whole process"
If you have a similar time pressured requirement please call Mark Reidy or Andy Lawson, either inside or outside business hours, for comfort and a solution. Edinburgh Rugby Invest in leadership for growth. Retired fly half – Duncan Hodge looked to breathe life back into the depleted Edinburgh squad with methods that could be mirrored in the investment market. Playing predictable and one dimensional forwards rugby over the past three years, Edinburgh rugby have failed to make the top six in the pro 12 since, causing them to lose seven of their past eight games. Their perceived strength was in the forcefulness, organisation and the intensity of their pack, but even those assets have proved questionable since the start of the season. A win in the Edinburgh camp last weekend against Treviso tremendously lifted spirits, sending Edinburgh rugby on the road to recovery. As Edinburgh fans we’ve suffered our fair share of defeats, and like Hodge we know there are lessons to be learned before any sustained improvements can be made by any of the investors. Like Edinburgh rugby, the market can only improve if responsibility is accepted by the investors who are able to make the changes. In the investment market, in order to get the market, back up and running people need to be prepared to accept the responsibility, face the challenge by taking larger risks. There is ‘No lack of Hunger’ to fix things in the Edinburgh camp. The aftermath of Alan Solomon leaving his role as head coach, after starting the season with three defeats in four matches, this Scottish youth stepped up last weekend. Post team selection, Hodge told the Pro12, http://www.pro12rugby.com/, ‘More than anything, I want these young boys to step up and be the best they can be’, each and every one of them brought triumph to the Edinburgh side, arresting and reversing the losing run. It’s long overdue. What Hodge realises is that different skills and spirit were needed to make the changes and be successful. In the business world, this means finding the right team of people to make the change and aid success. Having the right team working together to achieve one goal is dynamic. Acting head coach Duncan Hodge knows and plans to achieve much more in the near future with the young players he is beginning to nurture on this victorious road. During an interview with the Pro12, http://www.pro12rugby.com/, Hodge said ‘We saw this game as a chance to get back to winning ways. There is still so much to do. There’s a lot of great things at the club but everyone else marches on and improves and we’ve got to do likewise.’ He knows there is still a lot more to give, sitting back and hanging up their boots is not an option for anyone of the Edinburgh rugby players or coaches. Is it about time that the Conduit Team invested in you to help you grow your business? Flexible finance, can you benefit from Unitranche lending? Providing debt advisory services to borrowers and sponsors gives us a daily view of the evolving market place. Every day new lenders enter the market, causing it to become increasingly opaque. Innovation is more prevalent than ever before with the international influence now benefiting UK borrowers. Historically lenders have differentiated themselves from the fierce competition by offering aggressively low pricing, reducing arrangement fees and offering relaxed, flexible covenants. In more recent time, the credit market is being penetrated by new non-banking and private debt lenders, who have had a long and prosperous heritage in trading bonds and private equity, allowing them to offer differentiable credit such as unitranche loans. Capital is now taking many forms and filling many different spaces so the traditional senior debt, mezzanine and equity is no longer as clear as it used to be. Unitranche transactions are governed by a single document typically called the Agreement Among Lenders (AAL). Unitranche lending involves one tranche of debt and a first/ second charge structure as well as a single credit agreement for long term capital. Opposed to the typical two-tiered senior debt, separate notes and security agreement for two classes of debt with complicated inter-credit agreements. The inter-creditor’s rights and obligations are detailed within the AAL. It allocated interest and principal payments disproportionally between the lenders, creating a multi-tranche transactions. The unitranche debt instrument was created to simplify debt structure and accelerate the acquisition process. A unitranche loan can be advanced by a single lender or if the hold is too large for one particular lender, the lender has the option to split the unitranche loan into “first-out” and “last-out” tranches to one or more lenders. A unitranche loan requires only one credit agreement, one set of security documents and negotiation with one lender. The reduced complexity of a unitranche loan often results in reduced legal fees, quicker closing times and increased certainty of closing; all features which are extremely important to today’s borrower. This will potentially remove any potential complexity and reduce the legal fees. Unitranche loans give different rights to the different lenders participating in each loan, these rights will depend on what ‘tranche’ of the loan the lender is funding. Unitranche lending is more transitionally focused than relationship focussed as traditional banking loans would be. This is due to the single offering and the geographical location of many unitranche lenders. Additionally, subordinated debt lenders tend to have fewer companies in their portfolios than do unitranche providers, allowing them to spend more time understanding the companies and working out problem situations. Small and lower middle market businesses are increasingly benefiting from unitranche financing solutions, which offer the advantages of speed, simplicity, and certainty of closing. EBITDA multiples can be in the upper single digits so where a senior debt provider permits 3x as a multiple Unitranche lenders could offer 8x. This type of facility removes the need for mezzanine finance and will minimise, and possibly completely remove, the need for management team, or sponsor, equity. Recently we have seen unitranche loans used to stave off equity dilution in growth capital corporate deals or as highly leveraged dynamic debt in asset management plays for real estate. As you will have imagined there are a number of other ways to utilise this flexible type of funding. MBO/MBI's and re-capitalisations are also suitable transaction types that could be compatible. We are happy to speculate our time to help clients ascertain if a Unitranche facility provides them with a solution. Please contact Managing Director Jamie Davidson to discuss Unitranche lending as part of our Debt Advisory offering.